I have been looking through some old "Project Binky" videos and came across their installation of electric windows and central locking in episode 7. I've got the central locking sussed but I fancy a go at the windows. The boys don't mention which vehicle their mechanisms came from. Does anybody know which ones they used or is there a mechanism you have used and know works in the mini door? I don't fancy the aftermarket ones available from Mini Spares and the likes. 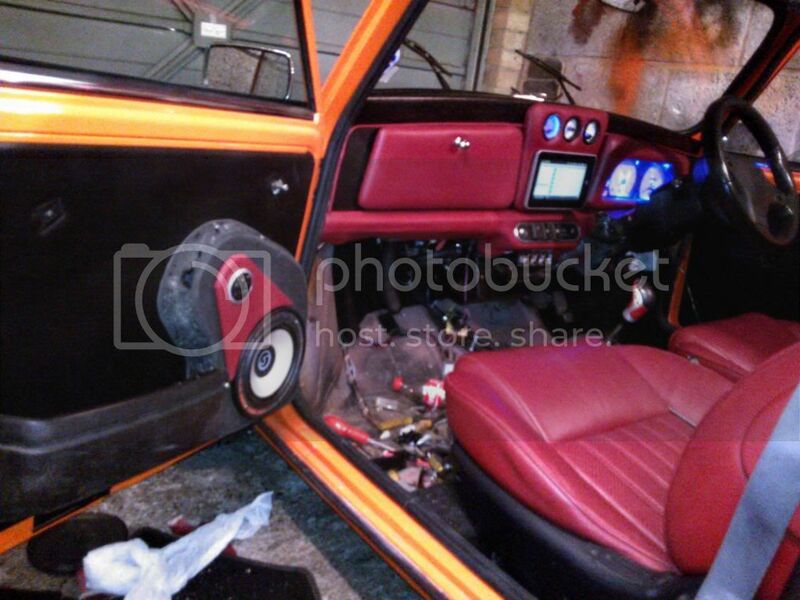 I don't have any pictures of how it was done but my project Scorpion had the electric window kit from a MG F fitted into the doors. The motor sticks out of the door card though. The last owner says he didn't like the motor showing so reverted back to manual winders with flat door cards. I have since bought the aftermarket electric winders and plan to use these as my wiring loom is a from a TF and has all the relays etc in it already. Last edited by AGoaty; 28-10-2018 at 01:38 PM. Yeah. Not really what I had in mind. The Binky Boys effort looks a lot neater and mostly fitted into the door but we haven't seen the door card set up yet so there still might be a problem with them projecting above the "flush". It's just that their system looked really cool. Was looking at electric as my wife keeps jamming things like boxes of tissues into the door pockets and the window winder gets caught up in them. I suppose the simple solution is not to let her in the car!!! "I suppose the simple solution is not to let her in the car!!!" Yep that's my solution as mine keeps saying it's too loud & fast, hu what does she expect with 16v's under the bonnet!!!! I take it she's talking about the car? Just re watched the episode there and I recognise the mechanism but can’t remember which car from, looks like a ford design though.. Here's the stinger!!!! When I bought my MGZR  to upgrade the electronics on my Mini, I removed everything I thought I would need later but, BUT, I chucked the shell with the windows and regulators still in it!!!!! I have a pair from my donor Rover 200 Vi. Not home until Monday though. Not thinking of the conversion yourself? I managed to get a nearside one off ebay for £12. I'll see what needs to be done once I get it then decide if I will go ahead or not. I might get back to you about the drivers door if I do. This is the route I am going down. It will be good to see someone else post their progress. Between us we might inspire others to make the leap [or not as the case may be]. I plan mine as a winter project. I'm planning to cut off the front section to make it detachable but not a flip front. I need to get better/easier access to the engine. The doors will be off at this time so the opportunity is there. Project Binky has been an inspiration and given me plenty of ideas to keep me going for some time.